The star of any Easter basket, this Madelaine® Chocolate Foil Wrapped Chocolate Chick is made of semi-solid premium milk chocolate—lovingly crafted by the Madelaine® gourmet chocolate makers! 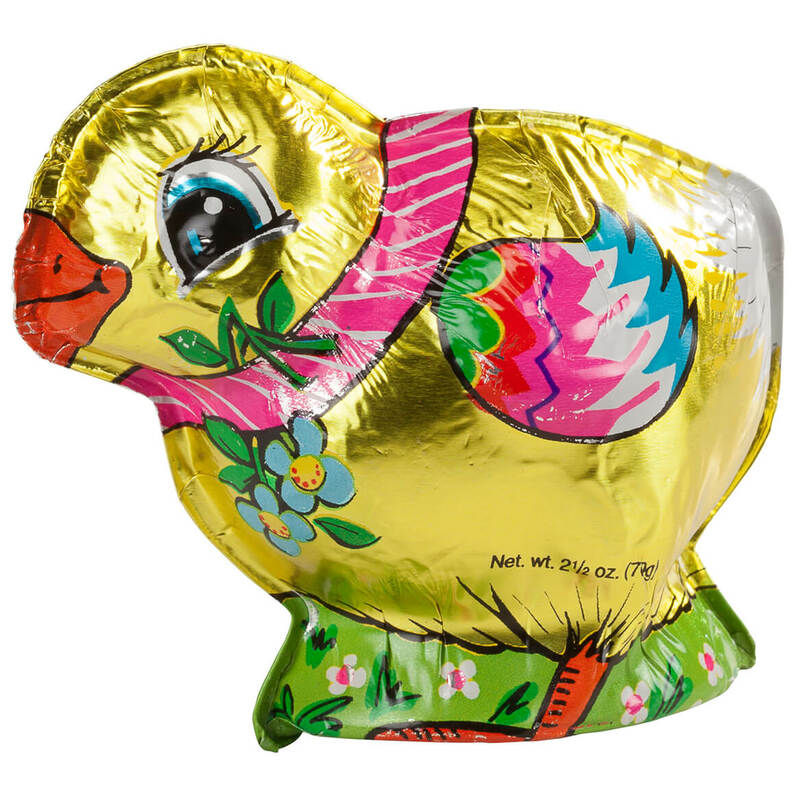 An Easter Bunny favorite your family deserves, the yummy chocolate chick is wrapped in shining yellow Italian foil, adorably embellished with classic details and lovely pink and white bow. A treat for chocolate lovers of all ages, our Easter chocolate chick is also great for decorating your Easter dessert table, and makes a festive party favor. Made in the USA. 2 1/4″ x 3 1/2″ x 3″; 2.5 oz.